Being the first 100% green energy city in the world is one of the major plans of the City Government, bared in a message delivered by Vice Mayor Nancy Socrates during the recently concluded launching of e-payment and an investment forum. Also included in the plan is for the Puerto Princesa City to be the education center not only in the country, but in the region through its university township project; to be the data hub and Silicon Valley of Asia; the corporate capital in this part of the world with the construction what would be the second tallest building in the world – the Princesa Tower; the construction of the iconic 30,000-seater Pawikan International Convention Center; the fisheries hub of the country through its integrated fish port project; and PEZA-registered light industry manufacturing hub. “In some of these, we already found private partners, and in others, we are still looking. In this being an investment forum, we therefore appeal to the country’s businessman many of whom are already here to invest in these and to help us develop Puerto Princesa into something that we can all be proud of,” she said. The event, which was attended by various stakeholders, aimed to drum up potential investors to build these ambitious projects in the city. In partnership with Land Bank of the Philippines and Rameses Systems Inc., the formally launched e-payment system would increase service efficiency, lower financial losses, and doing business with ease in the City Government of Puerto Princesa. They also showcased the successful real time simulation of online payments for real property tax and business tax. Meanwhile, Mr. Patrick Wesner, deputy mission director of USAID Philippines, highlighted in his message the close relationship between the United States Government and the Philippine Government both in the national and regional level. “This relationship is built on a deep friendship between our peoples that spend decades that is built in people to people relationships, tourism, familial ties and cultural exchange. This relationship is also built on a long standing partnership to work on development in the Philippines, to promote bilateral trade and commerce and investment, and address regional political issues,” Wesner said. Signing of Memorandum of Agreement between the City Government, Land Bank and Rameses Systems Inc. also followed in the event, which was held in the Hue Hotel and Resort, March 28. Meanwhile, Atty Bobby Fonevilla, director, investment assistance service of the Board of Investments emphasized business opportunities through investments in the City. Astoria Palawan, represented by Ms. Joy Suarez, general manager, and Sitel, Ms. Haidee Enriquez, also delivered their experience in investing in the City. This is really a VERY AMBITIOUS PROJECT of the city. 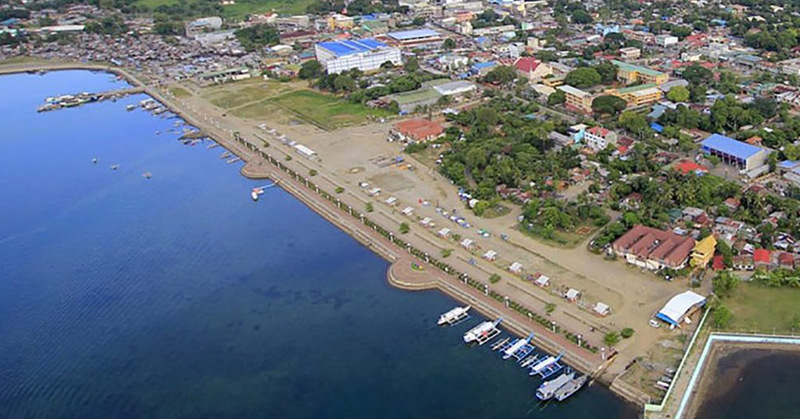 Puerto Princesa City wanted to be the first 100% green energy city in the world!! Wow it’s AMAZING. We were once regarded as the CLEANEST but look around the city now. There is no sign that we were once the cleanest. This due to the failure of the city government. Collection of the trash and garbage is not regularly done. Violators are no longer arrested and penalized. If a small task of implementing a mere ordinance cannot be properly implemented, how much more if we were tasked of so huge responsibility in facing the challenges that will result if this project is realized? I DOUBT but maybe I am the only one.